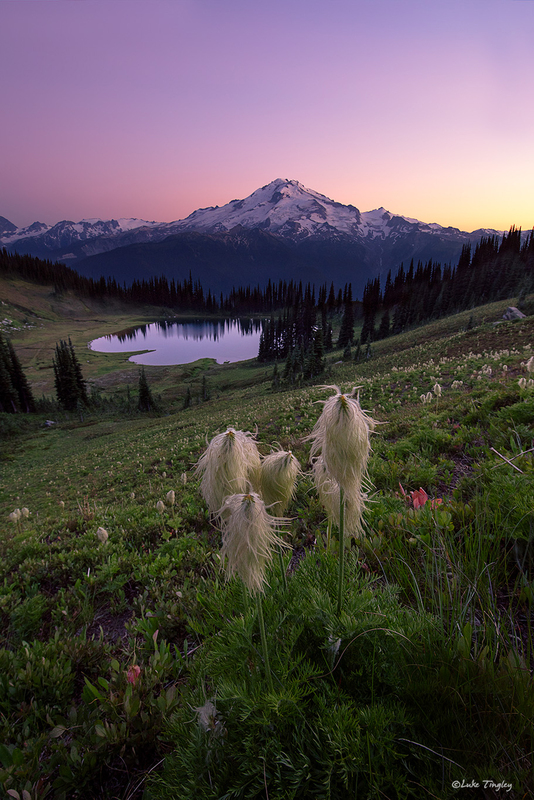 Western Pasque flowers are one of my favorite mountain flowers. They look like something out of a Dr. Seuess book. Glacier Peak in the distance makes for a nice background as the sky lights up right before it winks out for the evening. Photo © copyright by Luke Tingley.